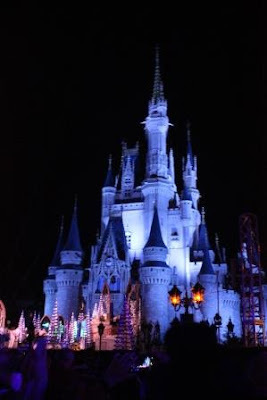 It’s time to recount another magical trip to the wonderful environs of Walt Disney World. This trip was chosen to celebrate Grandma’s seventieth birthday! Thanks to New Jersey school scheduling, we also got to celebrate my wife’s milestone birthday, plus it was only a week after our Anniversary. But really, it’s not like Disney needs extra reasons to celebrate. The index of trip days is below, following the planning index, of course. The entire family gets involved in it as soon as they know we’re going, and often before. Before the list of links, here’s Jeff’s parenting lesson of the day. Kids do not “ask to go” to Disney World. Frankly the levels of awesome happiness are far beyond what can be imagined with no frame of reference. Kids “ASK TO GO BACK” to Disney World, as soon as they have experienced it. Even when too young to fully remember it, the impressions last a lifetime and create the draw. That first trip is your responsibility parents…stop shirking your duties. Day 9 - Chim Chiminey,Chim Chiminey, Chim Chim Cher-ee! We Had Breakfast with a Guy Who’s Cra-zee!